The pressure transmitter has long been the workhorse instrument of choice for the process industries. Like no other instrument, it offers unparalleled application flexibility and is as often used in flow and tank level applications. A steady stream of innovation has carried the pressure transmitter forward throughout the past several decades, following the transition from pneumatic to electronic to the digital age. Rosemount Engineering Co. was there as the shift from pneumatic to electronic instrumentation gathered steam, introducing in 1969 the now iconic Rosemount™ 1151—the analog pressure transmitter that would set the performance standard for decades to come and pave the way for Rosemount Engineering Co. and eventual parent company Emerson to become a major force in the global process automation marketplace. With the 50th anniversary of the Rosemount 1151’s introduction approaching, Control’s Vice President of Content Keith Larson caught up with Scott Nelson, Vice President and General Manager of Rosemount pressure products at Emerson Automation Solutions, to discuss the five decades of innovation that continue to make the company’s pressure instrumentation offering as cutting edge and relevant today as the Rosemount 1151 was in 1969. Rosemount Engineering Company was incorporated in 1956 by Robert Keppel, Vernon Heath and Frank Werner. Q: When it was introduced back in 1969, the Rosemount 1151 represented a step change forward in terms of stability, reliability and accuracy—all in a more rugged yet modular, repairable package only one-third the size and weight of competitive offerings. What other innovations have continued to define Emerson's industry leading position in the pressure instrumentation space during the years since? A: The evolution of Emerson's Rosemount pressure instrumentation offering is really punctuated by the three generations—so far—of our flagship pressure transmitter. The Rosemount 1151, of course, marked our entry into the industrial space. Pure and simple, it was a dramatically better and more capable transmitter than what had previously been available, and its success was the catalyst for Rosemount’s transformation from a maker of specialized aerospace instrumentation to a process automation company. If the Rosemount 1151 was about building a better analog instrument, our second-generation transmitter, the Rosemount 3051, debuted 20 years later and was firmly rooted in state-of-the-art digital technologies. Inside, a new, free-floating, micro-machined capacitive sensor came together with surface-mount electronics and custom ASIC circuitry to provide enhanced performance and increased functionality. The Rosemount 3051 was the first pressure product on the market to include a total performance specification that reflects operation in real-world conditions over a five-year time frame. It also supported a range of digital communication options, adding HART® communications to the 4-20mA analog signal and, in due time, Profibus, FOUNDATION Fieldbus and WirelessHART®. Miniaturization brought about a further 50 percent reduction in size and weight, and a new coplanar design allowed the integration of primary flow elements, instrument manifolds and diaphragm seal assemblies into complete, factory-assembled solutions. The third-generation Rosemount 3051S added scalable intelligence and an architectural approach to the industry’s top-performing pressure transmitter. This platform for innovation has enabled many industry firsts since its introduction in 2001. The increased computational horsepower of the Rosemount 3051S, for example, allowed us to pioneer the multivariable transmitter: a single device that brings together pressure, differential pressure (DP) and temperature measurements to output real-time mass flow and energy readings. Other industry firsts for the Rosemount 3051S include the Electronic Remote Sensor (ERS)™ System (pictured), which eliminated mechanical capillary and impulse lines for safer and higher performing DP level applications, as well as lower maintenance and installed costs. The Rosemount 3015S has also taken on higher level diagnostics, detecting anomalies not only in its own operation but in the integrity of its communication path, the health of the process itself and the performance of associated assets. Production of the Rosemount Model 1151 Pressure Transmitter. Q: Your customers have certainly come to rely on the quality and reliability that comes with Emerson's Rosemount portfolio, but nowadays accuracy and stability of the primary measurement is only the cost of entry. Along what other dimensions has Emerson continued to innovate its pressure instrumentation offering? A: There are several driving forces behind our ongoing development efforts. 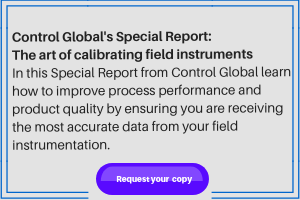 While we continue to advance the state of the art in reliable and accurate measurement performance, we're striving to extend the reach, scope and applicability of our pressure instrumentation solutions while also making those solutions safer as well as easier to engineer, use and maintain. On the digital front, we're leveraging onboard analytics to provide users with more actionable insight into their process conditions in a way that cannot be achieved via their control systems. Statistical analysis of process noise, for example, allows us to provide pre-configured diagnostics for specific issues or concerns such as valve cavitation, column flooding, multi-phase flow conditions and plugged impulse lines. We’re also ensuring loop integrity by monitoring and verifying the integrity of the device and its connection to the process and to the control system. But not all of today’s innovations are digital. Some of our latest innovations involve creating highly optimized and safety-centric solutions for very traditional applications like DP flow metering. Our new Rosemount 9295 Process Flow Meter (pictured) effectively eliminates the complexities and drawbacks of orifice plate installations in refining and chemical industries by replacing the whole installation with an all-welded spool design. This pre-configured flow meter supports up to four individual flow transmitters for safety applications, is fully roddable, comes complete with true piping class isolation valves, and requires no straight pipe run beyond the meter body due to the use of the proven Conditioning Orifice technology. This is just one of a variety of application-based innovations that integrate traditionally separate components and bring much more flexibility, safety and capability to the picture. We’re also tackling increasingly extreme measurement conditions—both of the process and of the surrounding environment. These include differential pressures to 15,000 psi (1,030 bar) and gauge pressure measurements to 20,000 psi (1,375 bar). In terms of temperature, our transmitters are rated to -75°F (-60°C) on the low end and our new Thermal Range Expander accommodates process temps over 770°F (410°C). Q: Next year marks 50 years since Rosemount Engineering Co. moved from its roots int he aerospace market and into the industrial instrumentation space. As we look ahead, what can you tell us about what further innovations Emerson has in store for users of pressure instrumentation? A: We'll continue to adapt our pressure measurement technology to meet more diverse, industry-specific requirements. Subsea oil and gas applications, for example, pose pressures that can exceed 18,000 psi, and the end-user expectation is that instruments perform maintenance-free for up to 30 years. Downhole and aerospace also represent environmental and logistical extremes, requiring specialized packaging. On the other end of the spectrum, we’re looking to extend Rosemount performance and reliability to the pharmaceutical industry’s emerging single-use manufacturing technology. In that same vein, miniaturization and industry’s embrace of the Industrial Internet of Things will continue to drive the development of more types of economical sensors that will paint a richer picture of process conditions, while keeping people out of potentially hazardous areas. We’re also enhancing and expanding our wireless instrumentation capabilities. Faster update rates with extended battery life will broaden the spectrum of served applications including control and safety. With additional evolution in the underlying wireless technology, the most advanced instrumentation functionality will be available in wireless configurations. Other device interface technology will enable easier, faster and safer personnel interactions. A half-century ago, Rosemount’s groundbreaking pressure instrumentation technology set the pace for Emerson’s industry-leading record of innovation in the automation business. And we expect to continue to expand that record into the next half-century.